Duncan is a Sculptor working with found Limestone pieces. He uses raw fragments of stone in the classical tradition from a modernist standpoint. Duncan found a connection with stone during his childhood spent in the Mendips, and has also been inspired by years spent in Greece. He resolves spatial puzzles, suggesting myth and movement – drawing from mankind’s 35,000 year expression through form and the epic timescale of geomorphology. “Poisson Soluble” uses those forms to express it’s own origins. The stone itself is formed from the tissue of living creatures lain down in the oceans over millennia. Used in it’s various forms both to preserve and to dissolve living tissue. The original living creatures that formed the rock can be analysed to reveal the age of the rock through chemical dating and from the metallic calcium, reveal the magnetic signature created as it emerged. 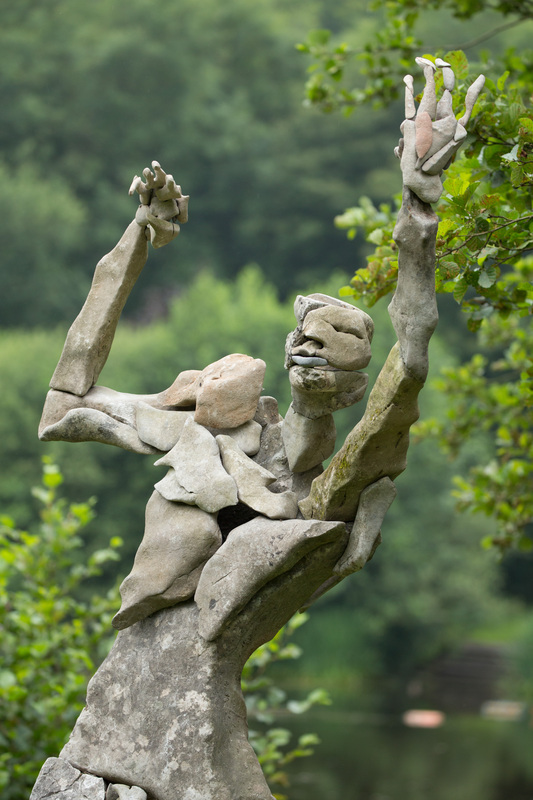 “The Age of Stone” is a response to Rodin’s “The Age of Bronze”. In a time of fundamentalism, a response that uses, the fundament to talk about these fundamentals. Limestone when pressurised transforms into Marble. Sculpting with Limestone gives the classically based pieces a flawed individuality that contrasts with the pressurised perfection of monumental marble sculpture. It comes from the place where we first trace the emergence of human art, that of finding movement in stone and seeking to animate to create magic.